Mt. St. Joe (No. 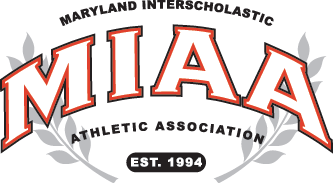 1 in the latest Maryland state rankings) and No. 5 Spalding made the trip south to Virginia Beach over the weekend to participate in the Ocean Lakes Invitational at Ocean Lakes High School. The two powers did Maryland proud as St. Joe took the crown with 296 points and Spalding finished in the two spot with 208.5 points. The Gaels saw seven grapplers reach the top of the podium with two more bringing home awards. No.1 Chris Barnabae defeated Riley Starcher (Grassfield, VA), 6-0, in the 120lb title bout. No.3 Nathan Porter took out Maryland’s top ranked 126lber, Spalding’s PJ Truntich, 7-2, for his gold. Ethan Stern continued his recent rise in the 195lb rankings downing a highly touted Cavalier opponent of his own, No. 5 Dustin Radford, 3-2. Stern, who was a Baltimore County runner-up as a freshman at Franklin, has spent the last two years toiling away in the background, building for a senior year push. Stern was ranked No. 17 two weeks ago, moved to No. 8 after his showing at the War on the Shore, and will now slide into the No. 5 spot in the rankings. At 170, No. 8 Jonathan Short beat Seamus Selmi (St. John’s-DC) for the second time this year, 1-0, for his championship. The two squared off in the Mount Mat Madness semifinals in December, with Short taking that one as well, 6-2. No. 2 Justin Henry came out ahead of Josh Evans (York), 5-1, in the 182lb finals. No. 7 Parker Warner worked overtime for his 3-1 victory over Avery Leblanc (Grassfield) at 220. No. 2 Isaac Righter rolled through the heavyweight field collecting three falls, all in less than a minute, including a 37 second pin of Jake Thompson (Floyd Kellam, VA) in his championship bout. Joe Couch was second at 106 and Chris Roybal (No. 10 at 152) placed fourth at 145 to round out St. Joe’s placers. Spalding pushed four guys to the top spot, No.6 Bradley Pruett (106), No.11 Joe Fisk (132), No.3 Rick Couch (138), and No.2 Garrett Fisk (152). Pruett pulled off a mild upset of St. Joe’s Couch (No. 3), 3-0, to capture his title. Joe Fisk blanked Ethan Hardy (Washington), 4-0, brother Garrett beat Nicholas Sansone (Floyd Kellam), 12-6. Couch posted a major-decision, 13-3, over Great Bridge’s Ty Chittum. Truntich was second and No. 7 Nick Paolucci was fifth at 145 for the Cavaliers. Pictured above: Mount St. Joe gathers for yet another championship team photo at the Ocean Lakes Invitational. Archbishop Curley, fresh off a second-place invitational at Kenwood’s Best of the Nest won this weekend’s Sharknado Duals, hosted by Georgetown Prep. In capturing the the title, the Friars defeated DC’s Woodrow Wilson, 58-13; host Georgetown Prep, 46-28, and MODEL School, 64-10. Curley’s top individual performers were Nick Kobrick (138), Ronald Clark III (195) and Mike Vargas (220).